Nestled within acres of scenic parks, lakes and golf courses, the opportunities for outdoor recreation in Wake Forest are limitless. A growing network of greenways offers walkers and cyclists many miles of access and are an important part of the Town of Wake Forest’s plans for the future. The Wake Forest Park System includes 12 parks offering a variety of recreational amenities, including access to ball fields, hiking trails, playgrounds and an off-leash dog park. E. Carroll Joyner Park is one of the community’s most treasured resources with acres of sweeping meadows, trails and beautiful settings for public and private events. Five Golf Courses in the area including the award winning Heritage Golf Club. Wake Forest Reservoir in the heart of town offers a convenient place to canoe or kayak. Falls Lake State Recreation Area just moments away, provides a large lake for fishing, swimming and boating, and thousands of wooded acres for hiking, mountain biking and camping. Wake Forest Parks and Recreation offers organized sports opportunities for youth and adults, including baseball, softball, basketball and pickleball leagues. The department also offers summer sports camps, tennis leagues, lessons and clinics, and baseball leagues for children with special needs. The Polar Ice House offers two NHL regulation ice rinks for public skate sessions, open hockey, league play, freestyle figure skating sessions and year-round camps. Sports enthusiasts will find plenty of events in the area year-round. 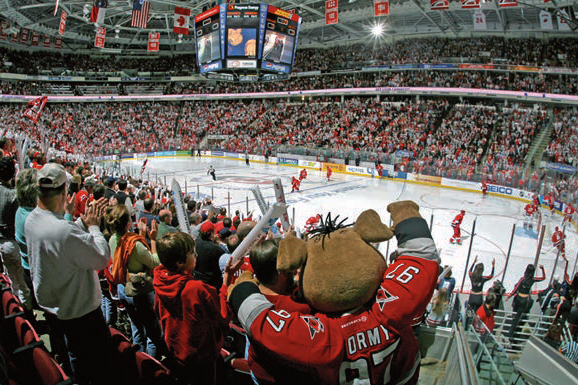 The Triangle Area is known for its college sports and is home to several successful teams from NC State, UNC Chapel Hill and Duke University. In addition, there are several professional teams based in the Triangle such as Carolina Mudcats, Durham Bulls, Carolina Hurricanes and Carolina Railhawks. Thank you for reaching out to us, we'll be in contact soon to help you discover Wake Forest!